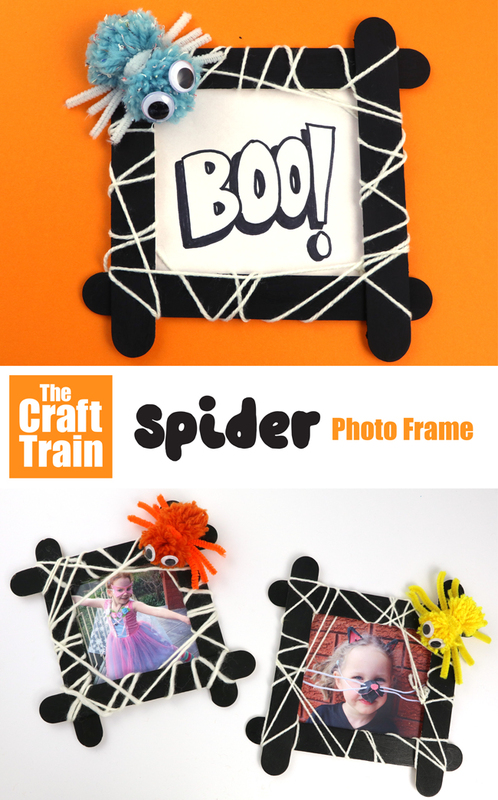 Make a spooky spider frame for Halloween! 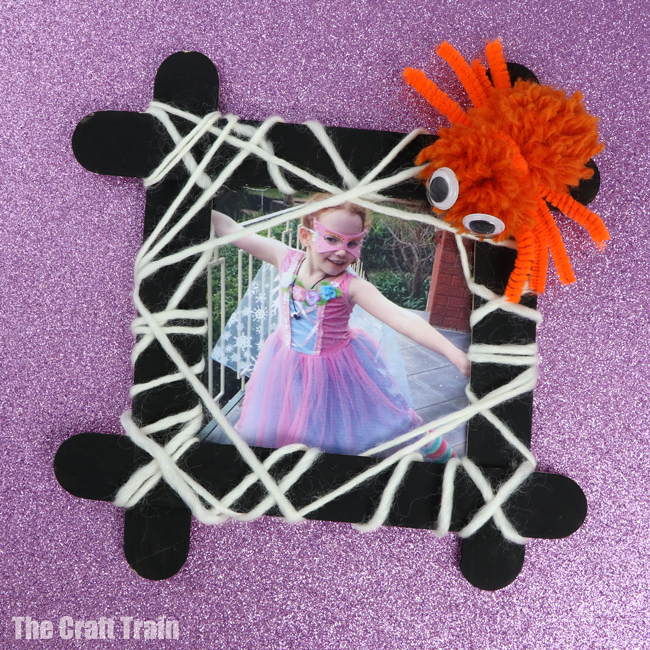 This easy Halloween craft for kids is a fun way to display your costume photos once all the fun is over. You could also use them as festive decorations with hand-lettered messages written in them. Boo! Year by year Halloween is warming on me. I love that my kids get so excited about getting all dressed up for it and walking around the neighbourhood. How things have changed in Australia since I was their age! Back in the 80’s nobody went Trick or Treating and if they dared to try they would be given a few sultanas, possibly a 5¢ piece or a “sorry, no treats here” greeting whenever somebody opened their door. Little by little, with a LOT of encouragement from the young, Halloween is becoming more popular and accepted. I particularly enjoy Halloween themed crafting, because who doesn’t love making ghosts, monsters and black cats? We even have a printable collection of Halloween paper crafts if you’re super enthusiastic about all things Halloween. Cut the looped ends of the yarn ball and trim into a rough ball shape on each side. This is your spider! Glue the craft sticks into a frame shape. 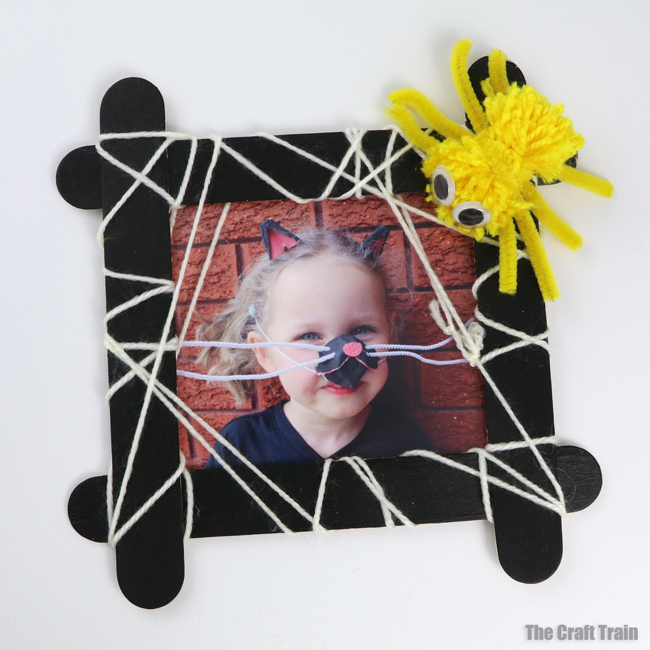 Wrap white yarn around the frame to look like a web. Tie it off. Ta-da! 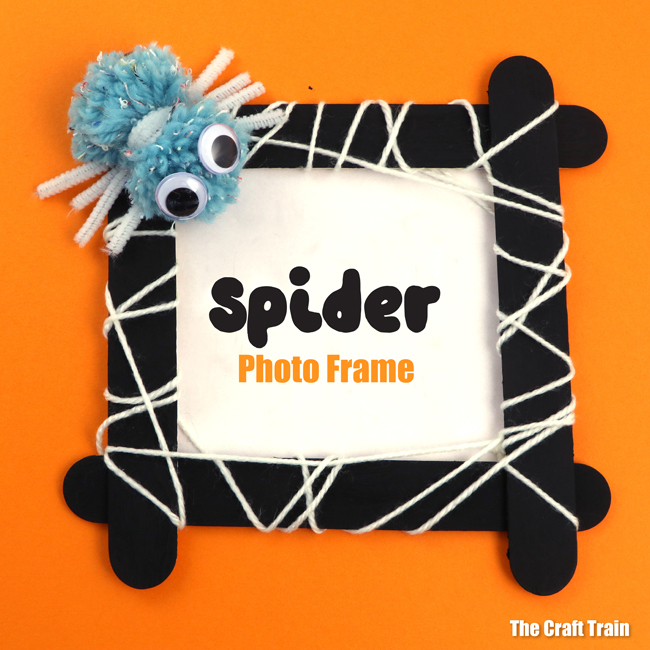 Now you have a cute spider frame. 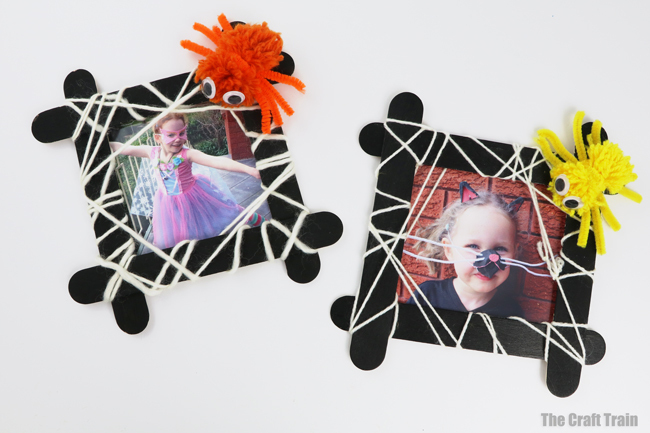 Glue a photo into place, or a sheet of paper and write a spooky halloween message on it for decoration. Now hang it up for a spooky decoration! You can find the instructions for the cute black cat egg carton costume my daughter is wearing in the above pic here. 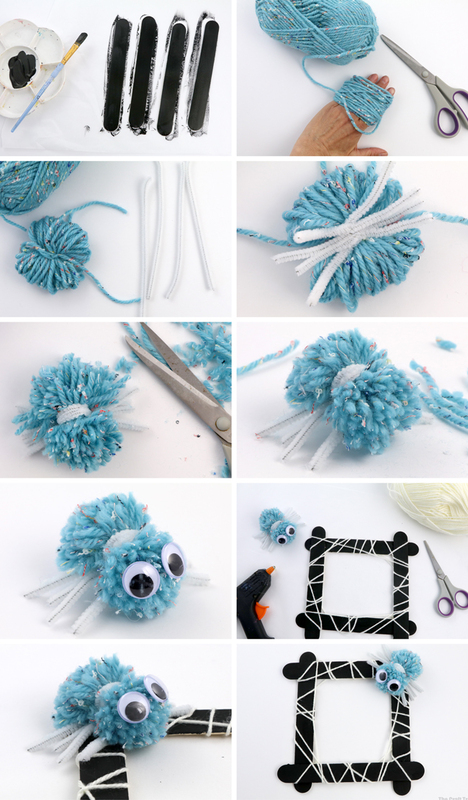 • Have some fun with a spooky pom pom popper!